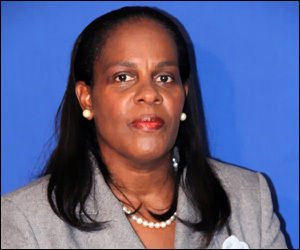 The following is the full text of a press release issued by Dr. Judy Nisbett Medical Officer of Health, Ministry of Health in the Nevis Island Administration (NIA). On July 2nd, 2014, the Caribbean Public Health Agency (CARPHA) informed the Ministry of Health, Nevis, of two laboratory confirmed cases of Chikungunya fever on the island. These are the first laboratory confirmed cases of Chikungunya fever for the island of Nevis. Both patients have recovered fully. Chikungunya fever is a viral disease which is transmitted by Aedes Aegypti and Aedes Albopictus mosquitoes infected with the virus. Both of these mosquitoes are present in St. Kitts and Nevis and are the same vectors which spread dengue fever from human to human. Chikungunya fever affects all age groups and both genders. The disease is characterized by the abrupt onset of high fever frequently accompanied by severe joint pains 3 Ã¢â‚¬â€œ 7 days after being bitten by an infected mosquito. Infected persons may also complain of one or more of the following: back pain, headache, muscle pain, rash, nausea, vomiting, and fatigue. These symptoms typically last 3 -10 days. Deaths from Chikugunya fever are rare. There is no known cure for the disease and treatment is directed at relieving the symptoms. Paracetamol may be used to relieve fever and Ibuprofen to relieve joint pains. Aspirin should be avoided especially in children. Persons infected are also advised to get plenty of rest and drink lots of fluids. Recovery from an infection will confer lifelong immunity. Prevention efforts are the same as those for dengue fever. The Ministry of Health strongly urges members of the public to destroy mosquito breeding sites in and around households such as pots, pans, tyres, coconut shells, flower vases, water storage containers that are improperly covered and any other receptacle that can hold standing water for more than several days. We are now in the rainy season which provides excellent conditions for mosquito breeding so enhanced vigilance is necessary. The Environmental Health Department will continue to carry out mosquito reduction plans. Vector Control and Environmental Health Officers will continue visiting premises to identify and destroy mosquito breeding sites and to educate households. However, the cooperation of residents is absolutely essential for the success of prevention activities. Aedes mosquitoes live in and around households and bite mainly during the daytime. Persons are encouraged to apply topical mosquito repellent containing DEET, IR3535 or icaridin at all times and also to sleep under mosquito nets during the day and night for additional protection. Persons who are potentially infected are advised to rest beneath mosquito nets to avoid mosquito bites and spread of the infection to others. For further information on Chikungunya please contact your nearest health centre.